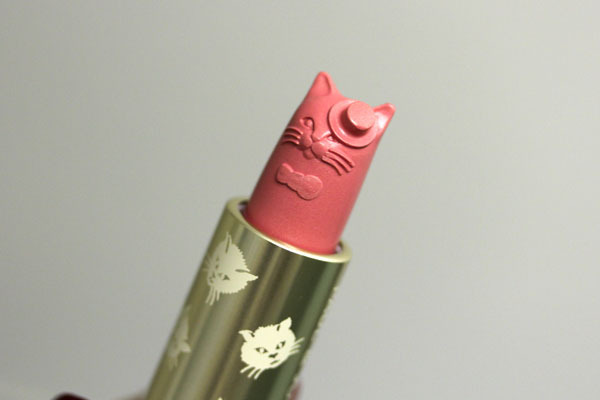 The cat head Blush Sticks from the Paul and Joe Beaute Spring 2012 collection whipped cat lovers (and you better believe there are a lot of them in the beauty blogosphere) into a major frenzy. I'm not going to lie, I purchased all of them without testing, even though the testers were right in front of me. I mean, that just defies reason! The best part was I don't have a particular weakness for cats (eep, don't hit me). I've always had a soft spot for top hats, though, and as much as I want to be Adult and Responsible about my purchases, I'll probably always fall for a cat in a bow and top hat. I'm simple like that. I was quite baffled by the ears, so I milled around the room for a few minutes trying to figure out how I would apply them without breaking such preciousness off. (The horror!) And then there was the question of applying it evenly, because those ears, cute as they are, just get in the way (see above swatch). It quickly became apparent that evenness doesn't matter since the whole point is to blend it out, but there's that irrational side of me that goes, "but if it doesn't apply evenly i can't blend it evenly!" which is um, false. 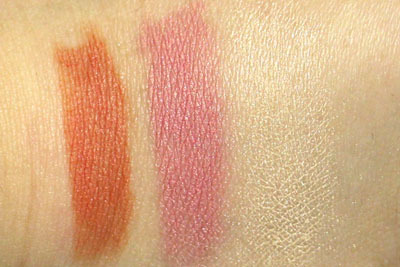 I used all three blush sticks in the pictures below (see caption). The difference is almost imperceptible when blended out, but I hope you can still see it! 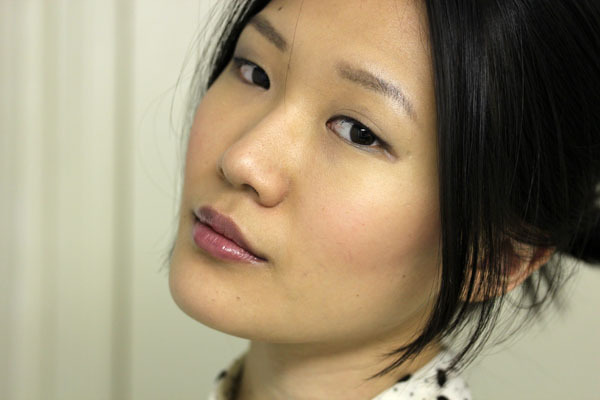 On my lips I am wearing Le Métier de Beauté Vanilla Rose lip creme topped with La Belle lip gloss. I applied the color directly to my face then blended it out with my fingers/foundation brush. Both methods "eat up" color, so chances are you'll have more color on your fingers/brush than what is left on the cheeks. 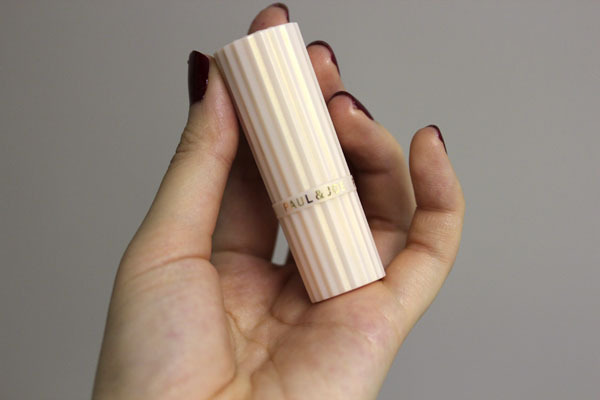 This is a good thing (depending on your blush preferences) since all it leaves is a light, natural flush. If you've been following Messy Wands for a while now, you'll know that's how we go! That being said, pigmentation is buildable. The trick is to layer it instead of doing one big swipe from the get-go. The lasting power for these blushes was great, which wasn't what I expected considering how weightless and not-there they felt. 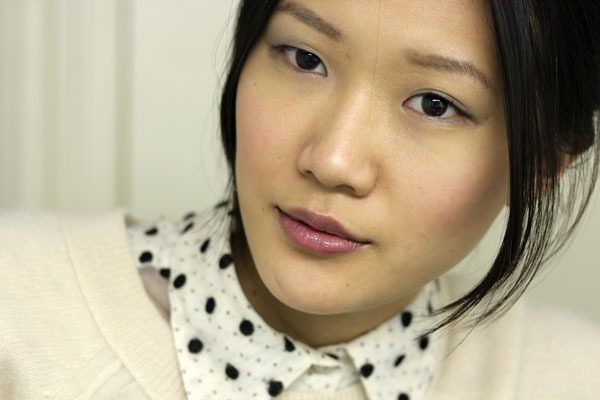 It's not a blush I would recommend for beginners or people who want something that is swipe-and-go easy. There is a learning curve to the blending, since too much of it and the color would be gone. 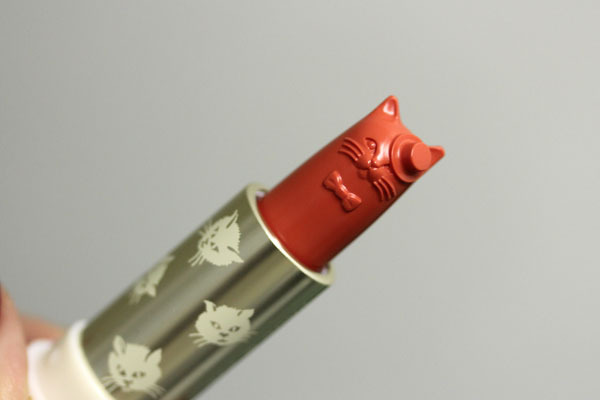 But this stick, just slightly wider than a regular lipstick, would be perfect for retouching on the go, and at this price point (and let's face it, cuteness) really can't be beat. 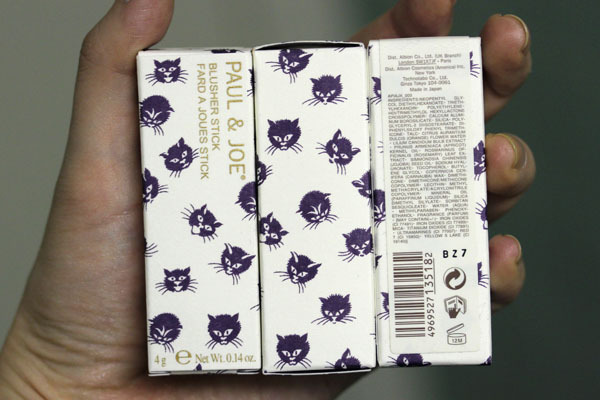 Paul and Joe Blush Sticks in 001 Glamour Puss and 002 Minou retail for $28 each. Last I checked, all three shades are still available at b-glowing.com. I love top hats too! If I had a cat, I'd make him wear it ALL DAY. Those blush sticks are too cute beyond words! As is your FACE. So full of gorgeousness you! HAHAHA. All of those thoughts run through my head every time I see these cat-shaped things. How do I use them without breaking off an ear? How would I get it to apply evenly and not leave a top-hat shaped mark? You are awesome. Tracy- I need to own a top hat. I just need to! They are so adorable, I'm not sure I could bear to use the kitty faces. They are too cute! Ah! I am faint from the cuteness! 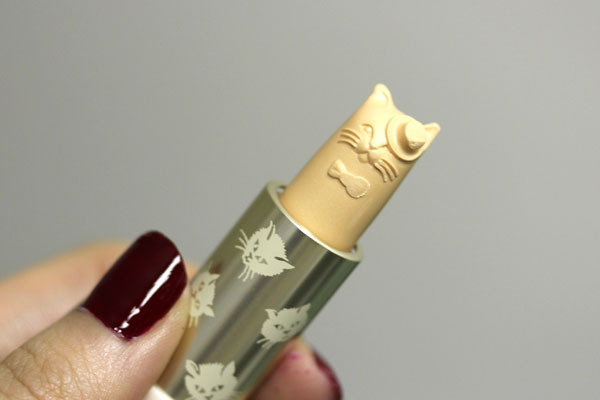 I love catfight and the highlighter, but would be too scared to destroy the cuteness! Just wondering how #001 works. The color seems a little odd to be a blush stick. Do you have to blend it w/another one to make it work? They look lovely!! I tried getting these in Japan, but they were sold out EVERYWHERE. Must try again in the UK. Omg I've never seen such a cute blush! It looks great on you btw :) Greetings from Finland! Ahhh! The ears in the swatches slay me.